This Monorail 3D Art is inspired by the Monorail Signs at the Transportation and Ticket Center in Walt Disney World. You can choose from either the Epcot Monorail Sign or the Magic Kingdom Monorail Sign by using the "drop down" menu. 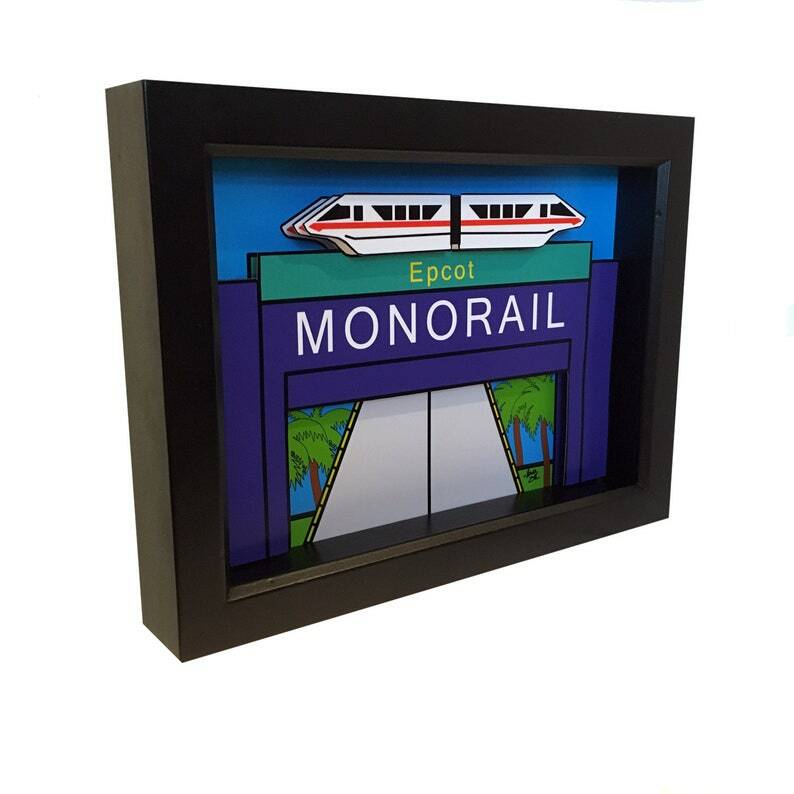 Each piece features a paper cut Monorail sign rendered in 2D, while the Monorail is in 3D. This 3D Pop Art really pops! This is the perfect gift for any horror or Disney fan!